5 Responses to NightOwl’s Baby Pix – – Wasn’t I Cute? 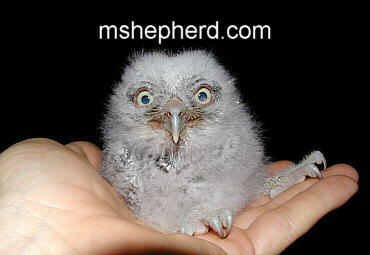 I believe you are too consumed in owl stuff. Why do you not change your name to NightEagle or NightHawk? At least that would sound like a tougher bird, like a war bird. Does this not make sense? You surely had some pretty blue eyes…. Man, you had big feet!!! Is there such a bird as a NightEagle? Or NightHawk? Besides, as far as I know, Owl’s hold their own in the world of predators. Perhaps the greatest of all hunters of the night!